In a large stock pot add all the ingredients. Stir to combine. Remove innards and add turkey to the brine, breast down. Weigh turkey down until fully immersed. Cover and refrigerate for up to two days. Combine all the ingredients and stir to combine. Remove turkey from the brine and cover with a thick layer of rub. Add to a large roasting pan and cover with foil. Bake for 4 hours, basting constantly with the juice in the pan. Remove foil during the last hour of cooking. 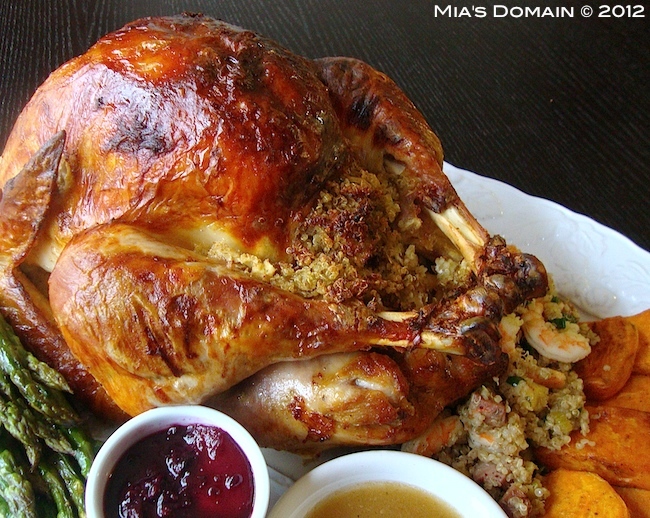 This turkey is crispy on the outside, moist on the inside and very flavorful.